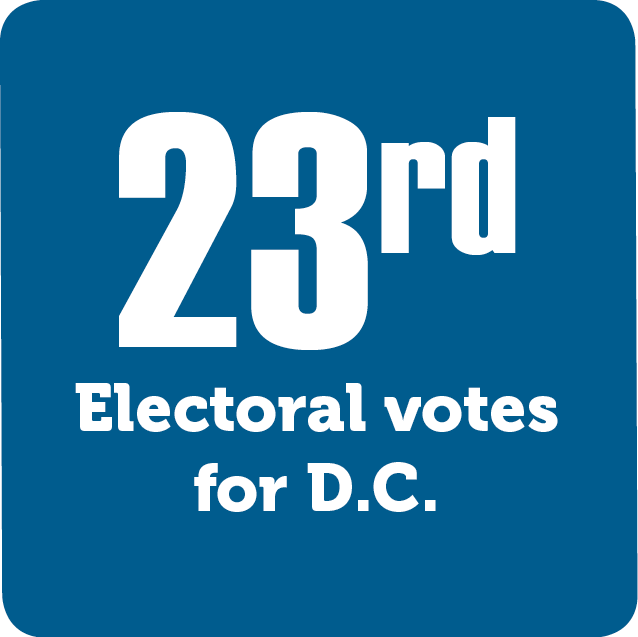 The Twenty-Third Amendment grants electoral votes to the District of Columbia. Prior to this amendment, D.C. residents did not vote in presidential elections. Now, D.C. has the same number of electoral votes as the least populated state. A state’s electoral votes are determined by the number of representatives and senators from the state. So, if the least populated state has one representative and two senators, that state has three electoral votes – and so does D.C..